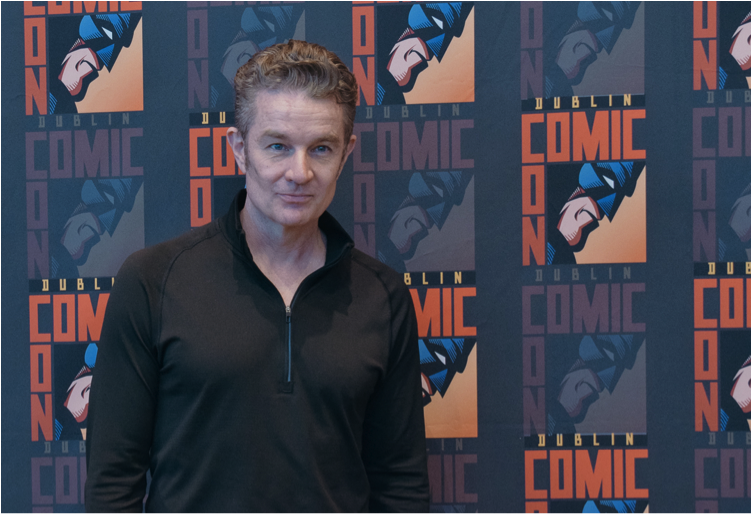 This author brings to you… Dublin Comic Con Spring edition 2019! SIN were lucky enough to be invited to participate at the Press Night before the opening of the convention, which occurred Saturday 9 March. 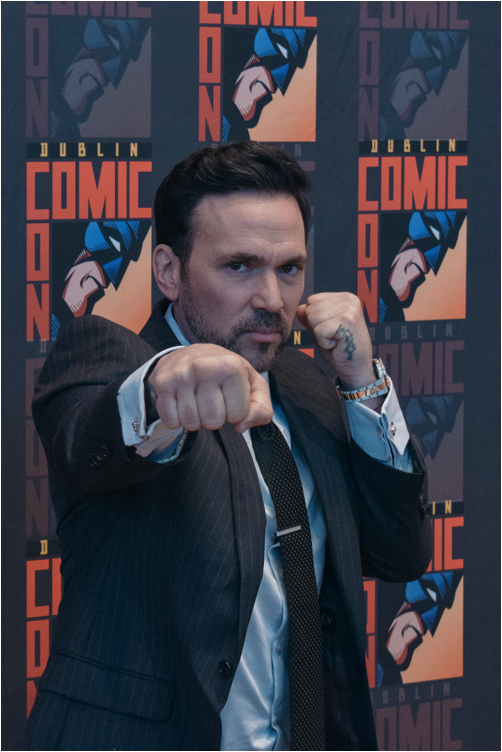 Dublin Comic Con takes place annually, with the biggest convention usually being in early August. Tickets are super affordable, about 20 quid or possibly less, depending on age and what ticket you wish to purchase. The options vary from VIP, Adult, Young Adult and Child. The convention is a great place to spend some time and look for some merchandise from your favorite series, as well as enjoy the massive showcase of cosplay costumes and photo props throughout the convention center. You can also meet your all-time favorite actors and take a few photographs, and even get an autograph! Dublin Comic Con has two main floors. The first and ground floor is where admission to the center begins, as well as where all the merchandise is sold, and photograph props are sprinkled. On this floor there is a cosplay village, where you can either join fellow cosplayers or admire the various cosplayers going around in character. The second floor is the artist gallery. This means that on this floor you will find various artists selling and advertising their work! On this floor you will also find the guests. There are photobooths that can be pre-booked for photographs with the guests. Pre-booking photographs will cost a bit extra, but if it’s for your favorite guest, it’ll be worth it! Comic Con is a lot of fun every year, with so many panels, activities, and people; there is no room for boredom! One policy that we all must be mindful of is consent, and this policy does not stop at conventions. Do not take photographs of cosplayers without their consent, and do not make vulgar comments or gestures towards them either. Cosplay does not equal consent. Dublin Comic Con also has no shortage of security staff who will help and punish if needs be! 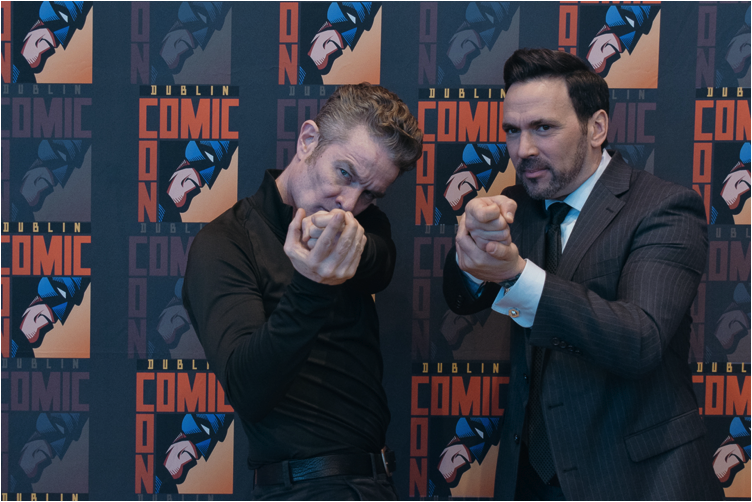 So do not hesitate and keep yourself updated through dublincomiccon.com as well as the Dublin Comic Con Facebook and Instagram pages, for guest announcements and ticket availability dates. This author wishes to thank Olivia Fahy who is the Comic Con PR manager, who kindly allowed photographer David Sommerville and myself to attend as Press, and gather amazing footage for an ambitious video!